Alacazam! 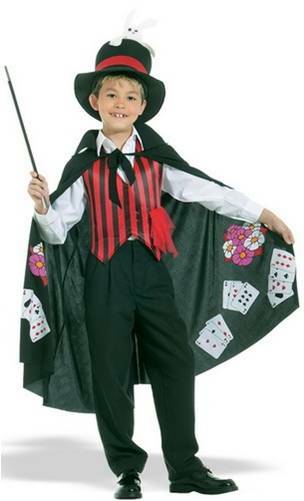 This magician set includes the cape, vest, top hat and wand. 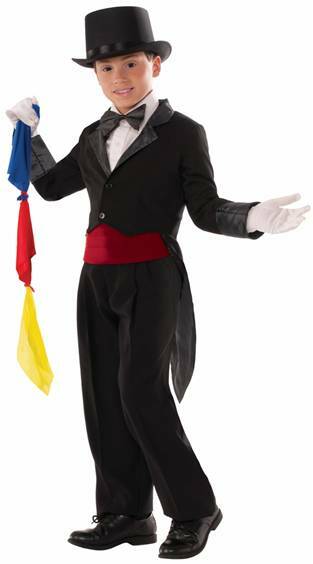 SATIN POP UP BLACK TOP HAT USED FOR MAGICIANS AND STAGE PRESENTATIONS. ONE SIZE. HAT AND MAGIC TRICK IN ONE. 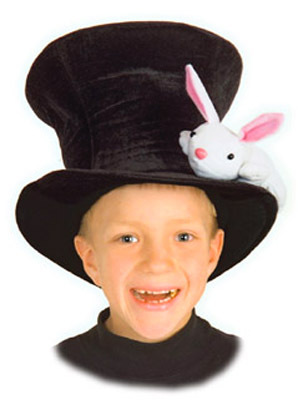 HIGH QUALITY CLASSIC HAT HAS A FALSE BOTTOM THAT EXPOSES A STUFFED BUNNY RABBIT TOY. COMES WITH BUNNY TOY. ADJUSTABLE INTERIOR FOR COMFORTABLE FIT. 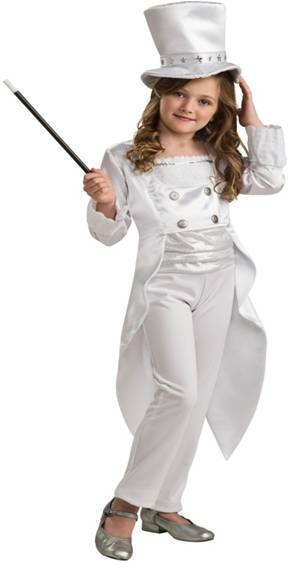 Includes tailcoat with hidden pocket and sleeve with scarves. 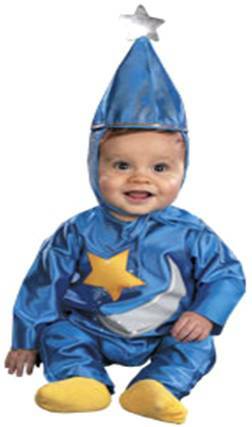 This costume is Magic! Includes jacket, pants and hat.